New players only. 10 Free Spins sign bonus is on Starburst available. Max conversion 4x. No deposit required. 100x wagering. SMS validation req. 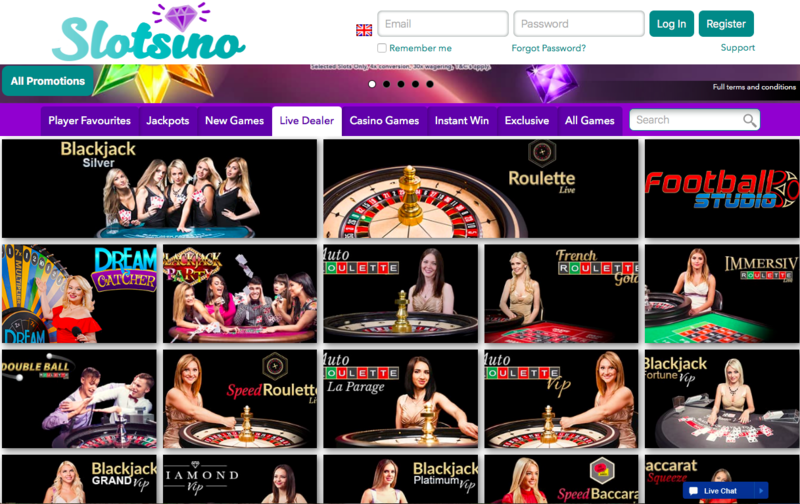 For £500 welcome bonus+50 Free Spins, First 3 deposits only. Min deposit £10, Max bonus £500 + 50 free spins on Starburst(50 spins on 1st Deposit). 4x conversion. 30x Wagering. 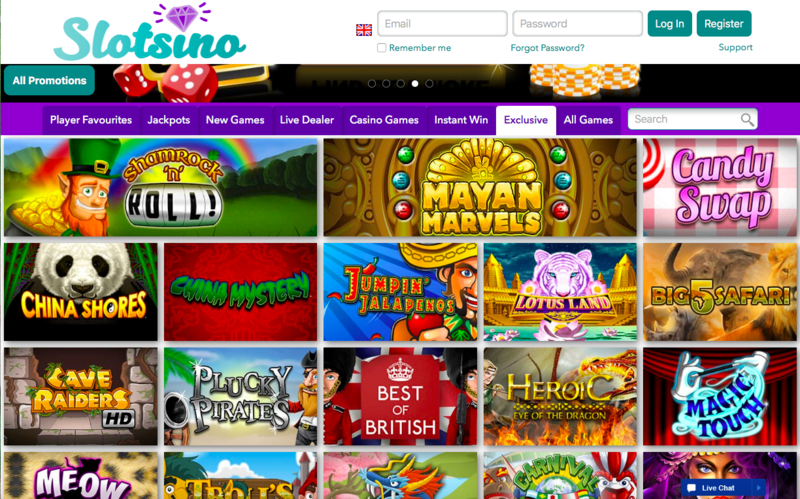 Subject to Slotsino's Bonus policies and Terms & Conditions apply. If you want to find an unoriginal and predictable name for an online casino, you rarely have to look any further than Nektan, and they’ve done it again with Slotsino, the latest in their Casino McBetmoney series of sites (not the official name granted, but a suitable one nonetheless). Nektan have become nothing short of laughable at this point, releasing an endless stream of sites that don’t even manage to be mediocre thanks to the fact that they are essentially just clones of each other. We always try and find the positive for these reviews, because obviously taste is subjective and to some, slots that we dislike could be the best thing they’ve ever seen. However, with Nektan, it’s impossible to find anything good to say, this network is full of identical sites, none of which come close to competing with the most established sites around. If Nektan had, at any point, taken the time to spend maybe a few months crafting one online casino site, it might have been brilliant, but instead they seem content just to sneeze out a new site every few weeks and throw it at the online casino world in the hope that one of their dismal and boring sites works out, they haven’t so far. So, in the interest of fairness, let’s take a look at Slotsino and see if it’s the exception to the rule that we’ve all been waiting for. As much as you may be expecting us to say there is nothing different about this slot, actually, in terms of design, Slotsino does show improvement from Nektan. Gone is the quarter page of design followed by nothing but a white background, instead the purple colour scheme carries on throughout the entire page. Past that there isn’t a lot new, a banner with images from popular slots, thumbnails allowing instant access to games, and promotions taking centre stage. The logo is not impressive, with a poorly chosen font and a cheesy looking diamond sitting above it, but it’s still an improvement. The problem is, the fact that a site that is, to be fair, this unimpressive, is a noticeable improvement for Nektan, says a lot more about the sites that have come before than it does about this one. Yes, navigation is simple enough, it always is, but that isn’t close to enough to make any difference to the lack of quality that is on show here. This is still Nektan through and through, minimal effort, and then just hope it works out anyway. 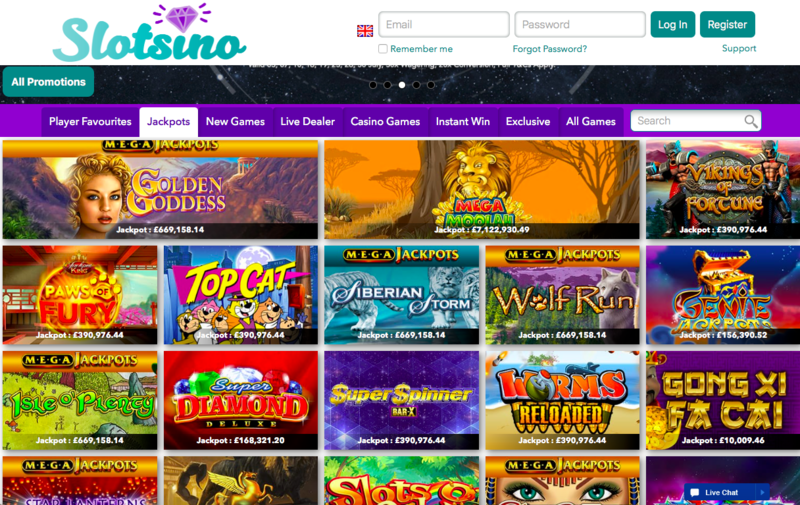 Every Nektan site is improved by its games collection, these online casinos always offer a lot of choice, and Slotsino is no different, with titles being provided by an impressive list of software developers that includes 1X2 Network, Aristocrat Gaming, Big Time Gaming, Blueprint Gaming, Core Gaming, edict egaming, ELK Studios, Evolution, Extreme Live Gaming, Felt, Gamevy, IGT, IWG, Microgaming, NetEnt, NextGen Gaming, Realistic Games, Red Tiger Gaming, SG Digital, SG Gaming, and Williams Interactive (as well as Nektan’s own games, which are unlikely to be the most popular that are available here). This impressive choice when it comes to the games on offer definitely helps, but does it help enough to take one’s attention from the fact that this is yet enough dreadful Nektan site that hasn’t had enough effort put into it? The truth is, if you haven’t been won over by any of the clones of this site that Nektan has released in the past, the chances are you’re unlikely to be impressed by this one either, colouring in a bit more of the site is not enough to make the necessary difference.